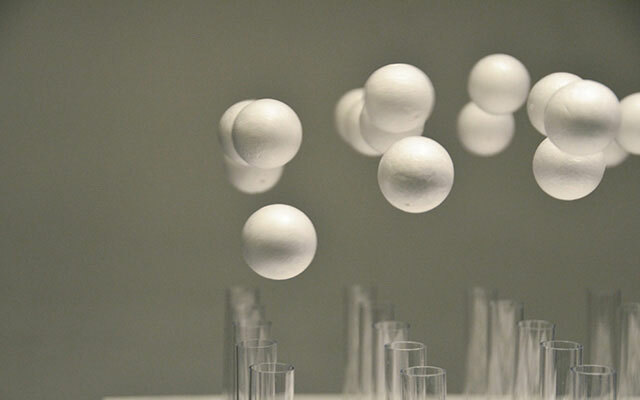 MoLECULE is fragile kinetic structures. 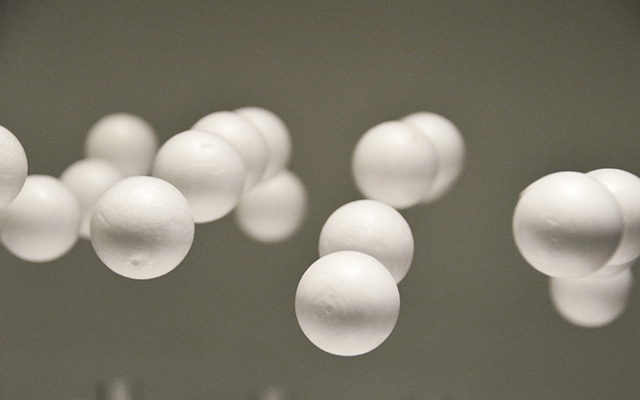 MoLECULE consists of 25 levitating balls. 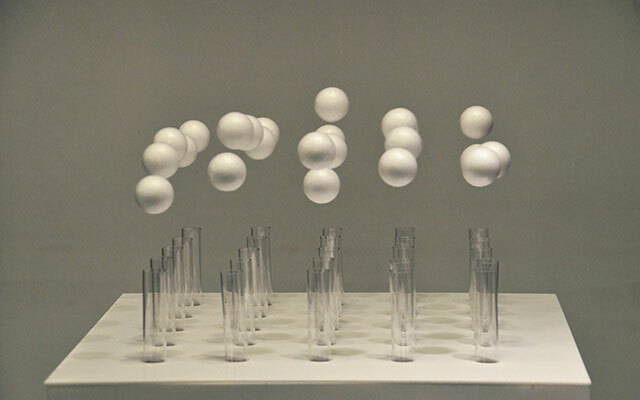 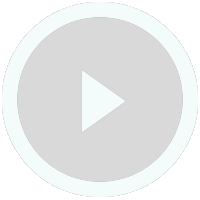 Each ball moves up and down independently, and thereby it takes a variety of forms moving shapes. 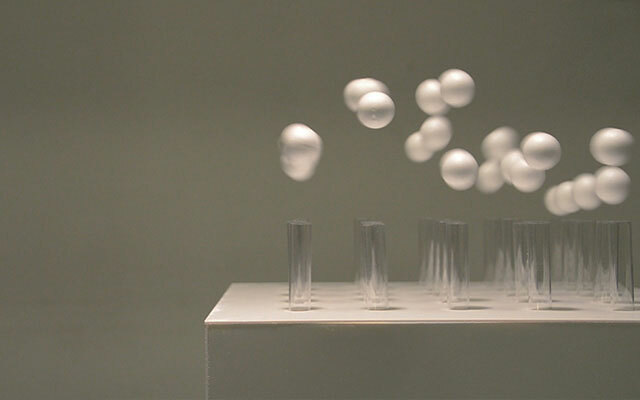 Levitating balls are suspended in mid-air not with strings or wires, but with only airstream. 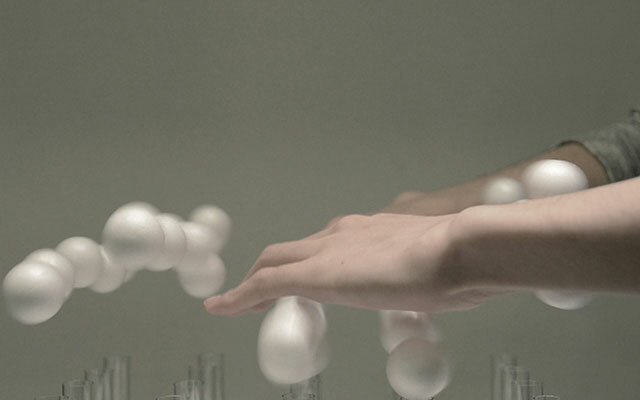 So, users can physically touch and feel zero-gravity materials, and change a form of structure by putting their hands above airstream. 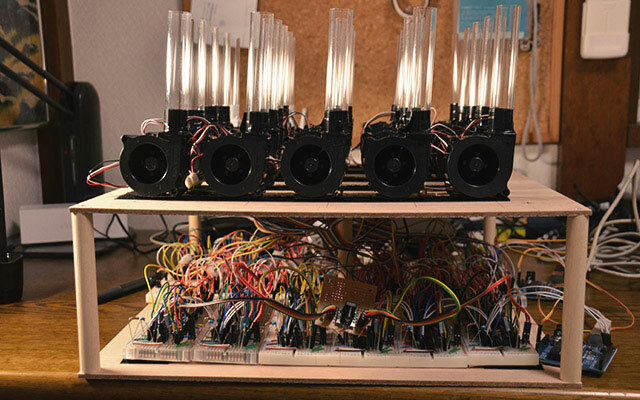 MoLECULE consists of original circuits and 25 fan motors. 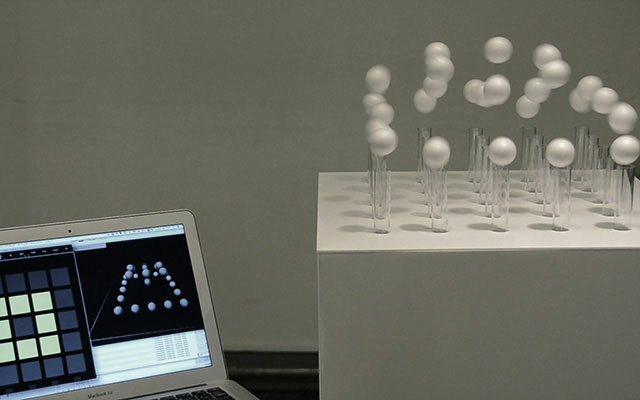 -atorie omoya + HARA DESIGN INSTITUTE, 2009, "WATER LOGO`09"
-Ryo Oguchi, 2008, "Photonastic Surface"
-Ivan Poupyrev, 2004, "Lumen: a Shape Changing Display"
-dECOi Architects & MIT., "Hyposurface"